We stock a full range of indoor grow lights, lighting systems, spare bulbs, ballasts and lighting accessories. Choosing the right grow light will maximise the size and quality of your yield so read our buyers guide below to for help and advice, or get in touch and speak to one of our in-store experts. Plants require light to photosynthesize, the process that all plants use to convert water, carbon dioxide and nutrients into chemical energy such as sugars and carbohydrates that are stored in the roots and larger leaves. The plant can then use these carbohydrate molecules for its metabolic processes, growth, setting seed, fruit and blossom. As the seasons change, the colour, intensity and duration of light reaching the surface of our planet shifts; During spring, the intensity and duration of light are slowly increasing and the colour of light we receive is higher in the blue spectrum. As the year progresses to mid-summer, the intensity of light peaks as does the duration of daylight. Towards autumn, the duration of daylight per day starts to decrease and the colour of light shifts towards the red-end of the spectrum due to the new angle the light must pass on its way through our atmosphere. Plants can sense these changes and start preparations for the end of the growing season. Annuals cease new foliage production and set flowers for reproduction to continue its genetic line in the form of seeds. Perennials also cease new foliage production and create hard over-wintering structures such as tubers, bulbs and runners which are intended to continue growth at the start of the new season. Indoor growers replicate these cues to promote the type of growth required at a given point in a plant's life cycle. From propagation and vegetative growth through to flower, the use of indoor grow lights are essentially providing the plant a replication of ideal outdoor light conditions and the type of light at a given time of year. The benefits of indoor plant lighting stem from the high level of control the grower has over the lighting environment and there’s no need to rely on the British weather for sun – any stage of the growing season can be replicated for year-round results. On a hot summer's day, the sun can supply up to 1000w/m2. This is the highest intensity of light most species of plants can cope with before negative effects start to take hold. Too much intensity can cause the plants to work too hard which could cause adverse effects such as the tips of plants burning as more water is used than can be transported up the plant. If the light intensity isn’t high enough, the plants will grow slowly and the supporting branches can become spindly and weak as they get taller and stretch in an attempt to get closer to the light. Like everything in life, there is a balance. We carry a range of grow bulbs with a selection of wattages and spectral outputs to cater for all sizes of indoor garden. As a general rule of green thumb, bulb wattage can be used to see how much space a lamp can cover, with a minimum of 30 watts per square foot. Optimal results can be seen at a higher wattage of 50 watts per square foot. HID bulbs, including MH,HPS and dual spectrum are supplied in 250w, 400w, 600w and 1000w, with some digital ballasts allowing a 1000w bulb to be run at 1100w to maintain light intensity output after the bulb has been used and worn-in. Fluorescent bulbs are normally lower wattages when compared with HID bulbs, with cfl’s shipping in 125w,200w, 250w and 300w. T5 grow lights consume from 48w to 432w so they’re suitable for smaller gardens that require less intense light such as propagation and vegetative rooms. Whilst wattage is not the most accurate measure of intensity of light, it’s an easy way to get a rough idea of the amount of light being produced by a grow light in a space. A more accurate measure of light intensity is umols which measure the amount of photons emitted by a given light over an area. umols are often used in more proffesional, larger scale set-ups using high end equipment. For smaller spaces, wattage is an adequate estimation of lighting requirements in a garden. Not all wavelengths of light are able to support photosynthetic processes. Photosynthetically Active Radiation (PAR) is a measure of the light that the plants can ‘see’ and that is used by the chlorophyll in its metabolic process of photosynthesis. PAR light contains little green light and is heavy in both the red and blue ends of the visible spectrum. Typically, blue light is used for vegetative growth, promoting tight branch spacing while red light is used during bloom and encourages profuse flower sets. Many species of plants are considered photoperiodic, meaning they require a change in length of ‘night-time’ dark period in order to persuade the plant to progress to the next stage of development. In a natural environment, photoperiodic plants use the diminishing day length as a cue that autumn is approaching so resources should be prioritised to setting flower and fruit to ensure a new generation. When using grow lights, we can manipulate the length of day in order to cause the plants to react how the gardener wants. In most fruiting species such as tomatoes, cucumbers and peppers, we can keep plants in the vegetative stage until the space has been filled with foliage at which point the daylength is intentionally shortened and the night lengthened to promote flowers to set that will eventually fruit. This technique ensures the plants will have filled out the garden, making use of all available light; so you get the largest yield out of your space. The relationship between the intensity of the grow light and the distance from the plants is described as the inverse square law. This means that the further away from the light source your plants are, the less light they receive. For every doubling of distance away from the light source, the intensity of the light will quarter. for this reason it’s important to get your grow lights as close to the top of the canopy as possible. The inverse square law also works for infrared radiation so the heat from the grow bulbs will also increase as the light intensity does. If you place your hand underneath your light at the height of your plants, you should get a feel for how much infrared radiation (heat) they are receiving. You should try and get your grow lamps as close to the canopy as possible while keeping the temperature at canopy level comfortable. If your hand at the level of the canopy gets too hot, you’ll need to increase the height of the grow lights. The cost of running grow lights will depend on your cost of electricity (measured in pence per kilowatt hour), the total wattage of your lights and the amount of time per day they are on for. As an example, a 600w light running 12 hours a day with 15p/kwh costs. First convert the total wattage of the lights from watts to kilowatts, there are 1000w in a kilowatt so divide by 1000. Multiply the kilowatts of the lights with the hours in a day they’re on for to get the KW usage per day, in this example, we'll use a normal 12hr flower regime. Times the KWh per day with the cost of your electricity per KWH to obtain the price in pence to run your lights for 12hrs in a 24hr period. You can then multiply this by the number of days an your crop will take, for a typical 60 day flowering period, you multiply the cost of running the lights for a day by the number of days. Most species will require you to work out two prices since the lights are on for longer (usually 18 hrs) in a 24hr period when the plants are in the vegetative stage, compared to the flowering stage. High intensity discharge grow lights produce light by passing an electric arc through an inert gas. They are highly efficient, producing a higher amount of PAR light than fluorescent and incandescent bulbs. The type of metal salt included in the fitting denotes the spectrum produced. MH lights use a variety of metal halides to produce the desired spectral output, which for horticultural uses leans heavily on the blue end of the spectrum, perfect for promoting vegetative growth. HPS bulbs contain a sodium vapour that emits light towards the red end of the spectrum. orange and reds replicate the colour of the autumn sun and so are perfect for flower. Dual spectrum grow lights are based on the anatomy of a HPS grow light with the inclusion of metallic salts. These salts allow the light to emit light from both the red and blue sides of the spectrum, leading to a bulb that can be used for both vegetative and flower stages. Ceramic metal halides are the most recent addition to high intensity discharge market. They offer many of the benefits of HID with few of the draw backs. They offer a full spectrum similar to the sun, and run cooler. CDM bulbs are extremely efficient and two 315w CDM units can perform as well as 1000w HPS. CFL’s have a low power consumption and light output. They’re perfect for confined spaces as a veg cycle light. CFLs specifically for flower (high in red) have been made but better results can be gained with the use of HID’s. The use of LED grow lights was pioneered by NASA for the growth of leafy edibles on the international space station due to their potential for low electrical usage. The spectrum of an LED panel can be specifically tailored since each individual LED outputs a particular colour and these different colours can be combined into an array composed of several colours. The research into the best combination of colours is ongoing but LED grow units utilise PAR light by using mostly red and blue LED’s; the colours most associated with photosynthesis. LED grow lights don’t require a ballast and the individual LED’s already angle the produced light downward so there's no need for reflectors. The initial cost of LED units is much more than HID but the running cost is cheaper and is more reliable - with bulbs lasting more than 50000 hours run-time. Light Emitting Plasma grow lamps use a different technology to regular horticultural lighting. There are no moving parts and no electrode so LEP units stably output a continuous spectrum reliably over time. The spectrum contains UVA and UVB and is mostly suited for vegetative phases, but use of LEP in the last two weeks of flower will increase both resin content and taste. 400v lighting systems are a new development on the market that are regularly beating the results of 230v systems. 400v systems are a larger initial investment but many growers appreciate the increased intensity of light these systems bring that can be seen in the end result in terms of yield and quality. Euro reflectors are an entry-level reflector made from aluminium. Sometimes called barn reflectors, the units are open ended so some of the light is lost from the sides of the unit but the majority of light heading upward is captured by the reflector and directed down onto the plant canopy. Adjust-a-Wings Defender model is manufactured specifically for 400w and 600w bulbs. They are a medium sized reflector, perfect for a 1m2 or 1.2m2 tent. Adjust-a-Wings Enforcer maintains all the benefits of the defender but it’is a large reflector that has been created for 1000w bulbs so is suitable for larger gardens such as 1.5m2 tents. The Matrix reflector offers the benefits of an air-cooled reflector, without the use of glass that can block a percentage of the light as in most air-cooled reflectors. The reflector can either be actively cooled with use of extraction onto the reflector or the reflector will passively cool without any additional equipment as the hot air will rise out of the reflector, away from plants. Parabolic reflectors hold the bulb in a vertical position, allowing for an even spread of diffused light resulting in a uniform canopy that can make use of all available light. Grostar parabolic reflectors are manufactured from MIRO reflective material, allowing up to 95% of light to be reflected. The heat is distributed evenly so you can place the reflector as close as 30cm from the tops of plants. Our budget parabolic reflectors are available in two sizes, one with a diameter of 80cm and one with a diameter of 100cm so you can purchase one to fit your space. Our budget reflectors are gloss white so they reflect light in a diffused way, reducing hot spots and increasing the even distribution of light. Air-cooled reflectors allow ducting to be attached to either side of the fixture. In this way, the bulb can be cooled with air running through the reflector and exhausted outside of the growing environment. This allows growers to keep their garden cool, which is especially important during the hot summer months as the same number of lights can be employed without increasing the rooms temperature. Completely air tight so no leaks, Cool tubes are a budget air cooled reflector. Goldstars are a traditional rectangular shape, so have a typical spread of light whilst maintaining the advantages of an air-cooled reflector. One of the largest reflectors on the market, the dominator XXXL can spread light from a 1000w bulb over 1.5m2. Magnetic ballast use a tried and tested 60 year old technology to regulate the electrical output to the bulb. Magnetic ballasts are not switchable so you need to get the exact wattage you require for your HPS or MH bulb. Magnetic ballasts are supplied in 250w, 400w, 600w and 1000w. Magnetic ballasts are composed of an iron or steel block with a wrap of coiled copper surrounding the block. There's no moving parts or sensitive electronics so magnetic ballasts often last decades as a result. Digital ballasts provide an alternative to the dependable magnetic ballast, providing a variable output to run a range of grow bulb wattages from one unit, so with a turn of a dial you can select from 250, 400, 600, 1000 and some ballast have an overdrive feature, allowing the bulb to be driven at 1100w. Digital ballasts use a soft start feature when igniting the bulbs, allowing the bulbs to run cooler and prolonging their life. Digital ballasts create less heat than magnetic ballast in the unit, resulting in less heat within the garden. Digital ballasts can be supplied in 400v or the standard 230v model, make sure you match the correct voltage with the bulb. Timers are an essential for anyone wanting to grow photoperiodic species of plants since timers allow you to precisely set the sunrise and sunset of an indoor garden. Most Timers use a clock with tappets representing 15min each through a 24hr period. Contactors work in a similar way to timers but are a safer option when lighting several HID lights at once. Power for the lights is taken from one wall socket, whilst the power for the timer is taken from an adjacent socket. This means a larger current can go through the powered cable when the timer is activated, without the risk of burning out or fusing the electrical components in the timers , as can sometimes happen if more than a single HID is on a standard timer. Electronic controllers are a relatively new development from the high end manufacturers such as Gavita and Dimlux. Several lights can be manipulated from a single controller and allow for a soft start- up which should prolong lamp life. Controllers can also simulate sunrise and sunset by altering the intensity of light output. We offer a range of light hangers to easily install your lighting system onto the ceiling of your room or tent. Easyroll light hangers have a strong inbuilt spring that puts tension on the light allowing the gardener to effortlessly change the height the lighting system hangs at. Jack Chains provide a stronger solution for heavier equipment. Ratchet hangers are robust and can easily be tightened or loosened depending on the intended hanging height. Our Jupiter light movers offer a range of solutions to increase your light’s footprint by keeping the light moving across the top of the foliage canopy. Light movers have many benefits over stationary hangers, including increased coverage of the lamp, higher efficiency and an increased yield. A Reflector: Ensures all the light produced from the grow bulb is focused down onto the canopy of the plants. without a reflector more than half the light is lost bouncing around the tent. A Ballast: Regulates the amount of power supplied to the grow bulb. A grow bulb: An electrical light that emits photosynthetically active electromagnetic radiation. 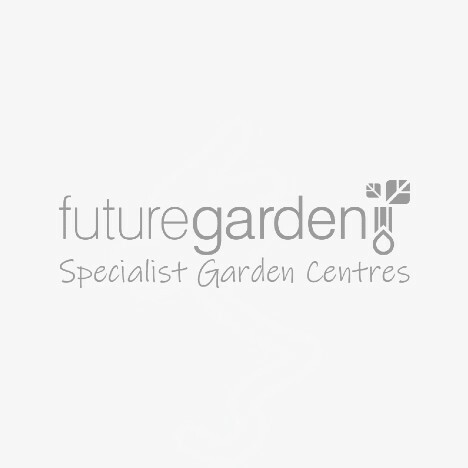 Here at future Garden, we offer a range of brands that manufacture specifically for the horticultural market. Entry-level brands provide the cheapest grow lights that are inexpensive but cost-effective whilst high-end brands use quality components with a lot of research and development to make grow lights more reliable, consistent and longer lasting. Maxigrow have been manufacturing specialised horticultural equipment since 1996. They’re one of the most popular manufacturers due to their high quality at a fair price. HID bulbs, Fluorescent bulbs, reflectors ballasts and controllers. All of Maxibright’s line-up has been created to british electrical safety standards. Gavita supplies major horticultural businesses with lighting for large scale operations in greenhouses that span hectares for both edible and ornamental crops. The widespread use of Gavita’s lighting systems across the horticultural industry is a testament to their reliable, effective and yield-boosting grow lights. While Gavitas products are on the high end of the market, they produce more lumens per watt than cheaper lighting systems so can increase yields within a garden. Dimlux have pioneered their alpha 98 reflector, which boasts the highest reflectivity of any reflector on the market. Dimlux ballasts come with 7 dimmer stages allowing the gardener more options and variability to match their plants requirements. Dimlux specialise in complete lighting kits, where the ballast, reflector and bulb are all included and will work together out of the box. Osram have been in the Grow lamp manufacturing game for over 100 years, fine-tuning the technology they use to create their products. They manufacture HPS, MH and CMH bulbs with several wattages to cater for most size of garden. Philips are world-renowned for their high quality electrical components and their bulbs for indoor horticulture maintain these high standards. Most recently, Philips have invested into the 315w Ceramic Metal Halide Research and development culminating in one of the most technologically advanced, highest output per watt and longest lasting bulbs available on the market. An affordable, cost effective brand that has been manufacturing a range of bulbs since 1999. Produced specifically for the horticultural market, they are our cheapest high pressure sodium grow lights that maintain the correct colour output and intensity. This brand is perfect for novices wishing to embark on indoor horticulture on a budget. Sunmaster manufacture a range of bulbs including HPS, MH and Dual spectrum. These bulbs all have a different colour output so you can tailor the produced spectrum for optimum yields and accelerated growth through all stages of development. If you need more info on our selection of grow lights, email us or call our specialist team on 0800 085 7995.